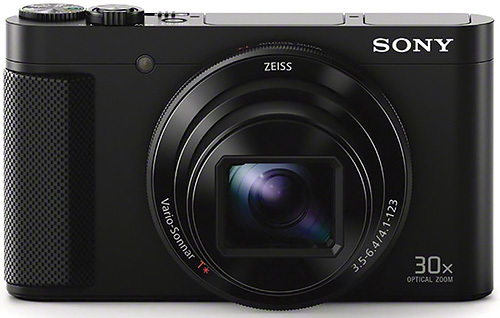 Sony has announced its Cyber-shot HX90V digicam with an 18.2megapizel BSI Exmor R CMOS sensor matched to a 30x optical zoom lens with a range of 24-720mm in 35mm equivalents. 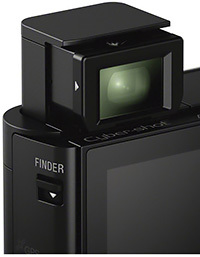 A popup 638k-dot OLED electronic viewfinder complements the camera's 180-degree articulated 3.0-inch 921k-dot LCD screen. The HX90V features Full HD 1080p video capture at 60p, 60i and 24p. Shooting either still or video, the HX90V offers Optical SteadyShot Hybrid image stabilization along five axes. Built-in Wi-Fi can transfer images from your camera to your computer, smartphone or tablet while GPS tags your images with location data. The H90V is expected to ship by the end of June for $429. You can preorder from B&H on April 19. Like B&H, Adorama will offer the HX90V at $428 when it ships.